Isn't this such a pretty thing? 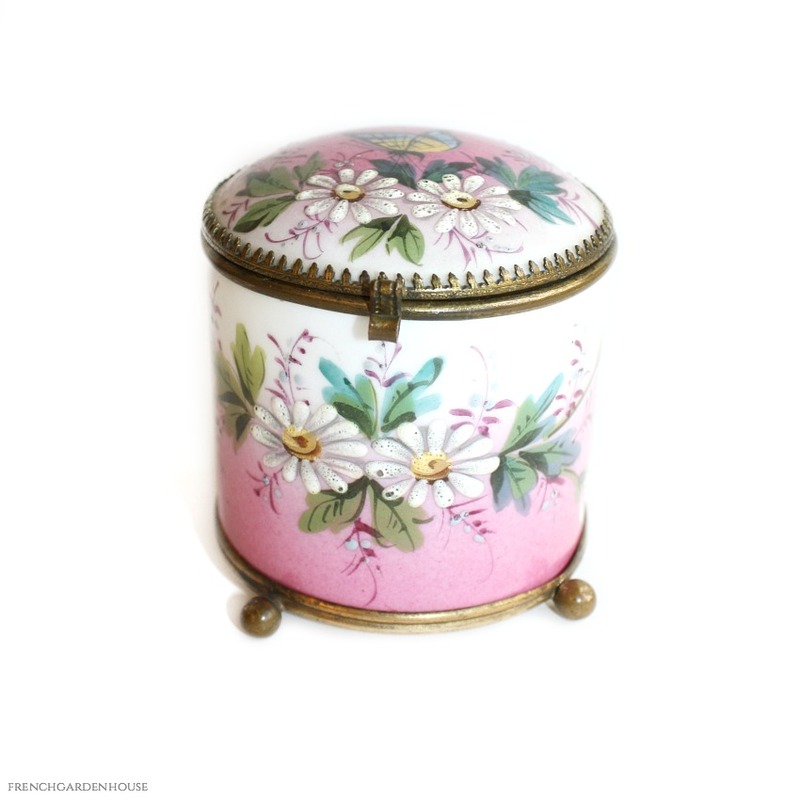 This French Antique Porcelain Box was more than likely hand painted in Limoges, France, and encased in a gorgeous gilt frame with four ball feet. 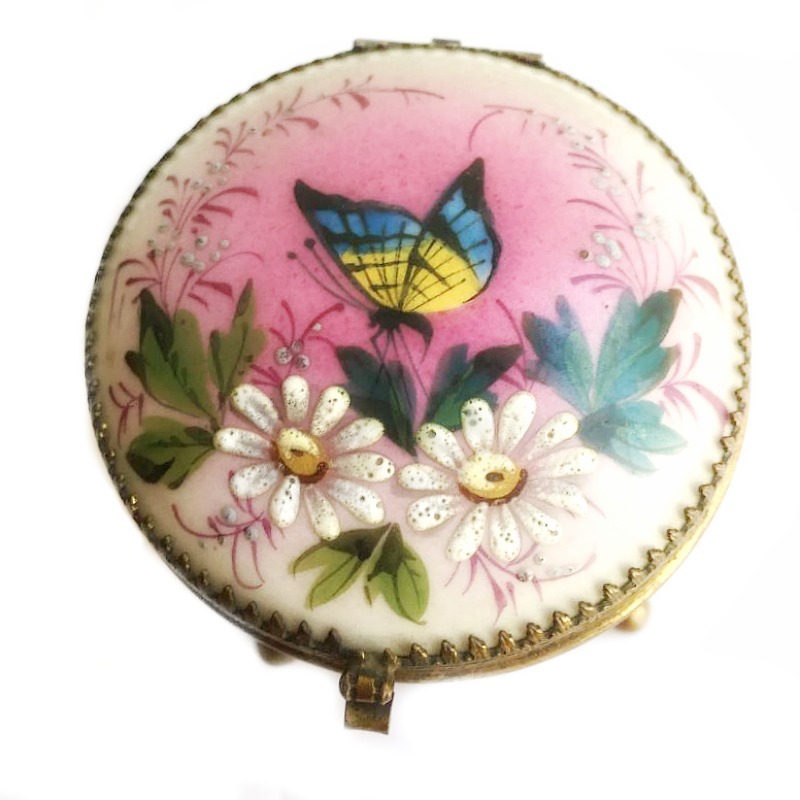 A lovely collectable work of art from the latter part of the 19th century, this was hand painted with flowers, leaves, and a cheerful blue and yellow butterfly. 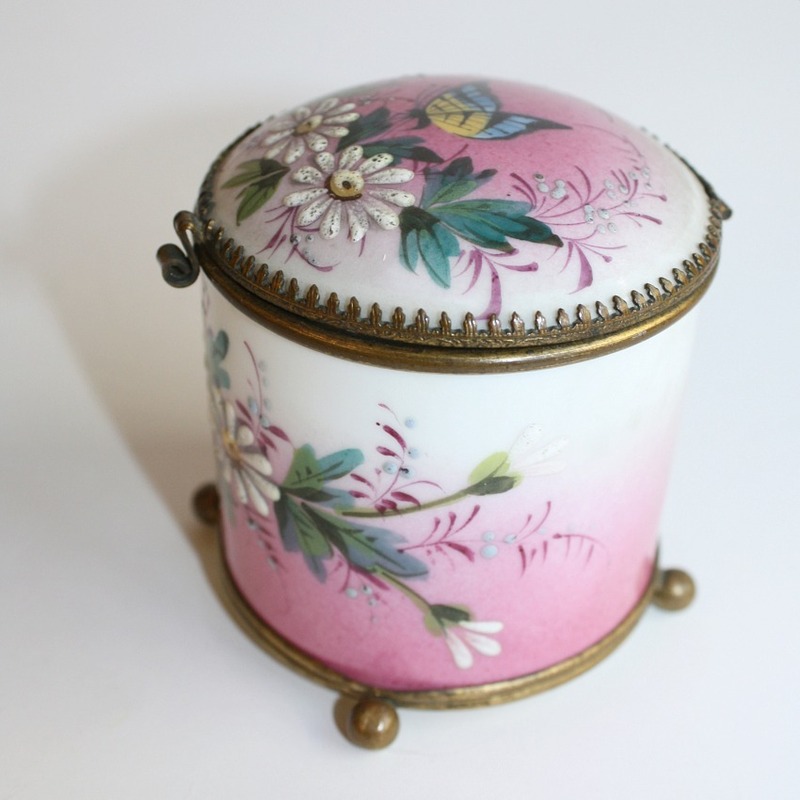 After the first firing, it was then accented with touches of enamel, an extra step which distinguishes extra fine quality pieces of porcelain. 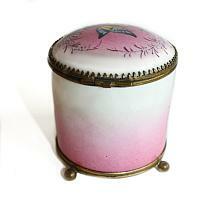 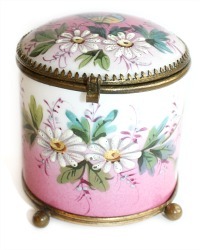 A beauty to use on your French vanity, a side table, next to your bed for your supply of mints, or stamps on your desk. 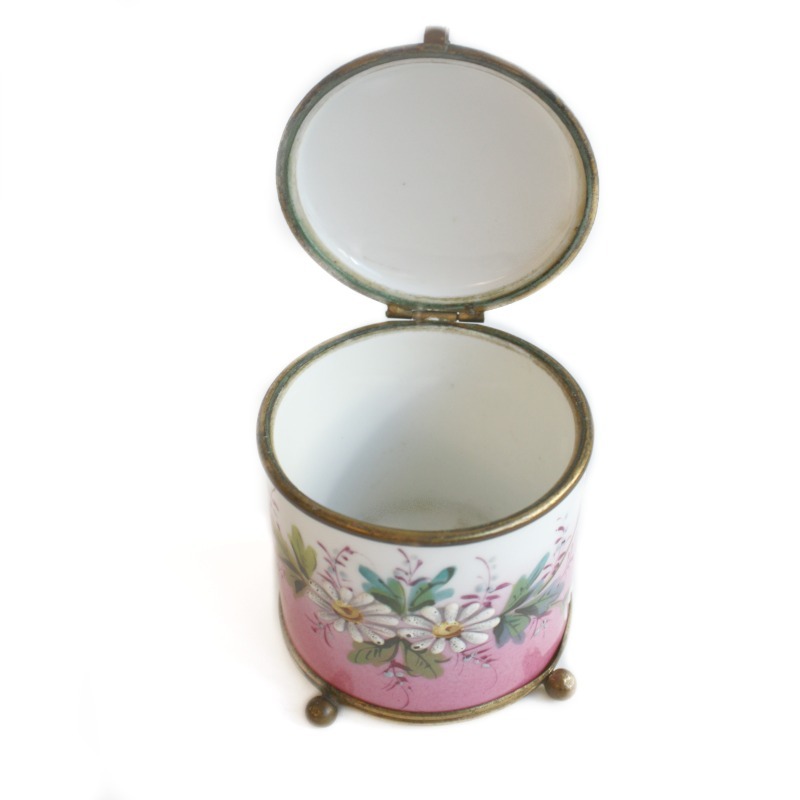 No matter where you use this, it will delight. Wonderful addition to your collection.